The intake structure for tunnel No. 1 can be seen on the right of the above picture; also the provision made for raising and lowering the intake gate to the tunnel. 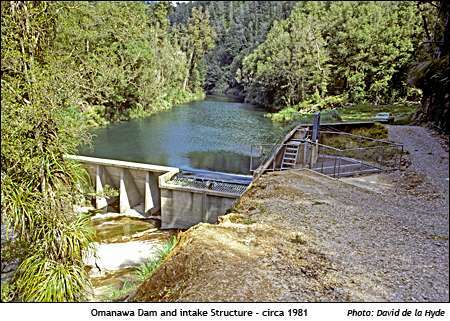 The Omanawa weir (low dam) is built on top of a natural waterfall. 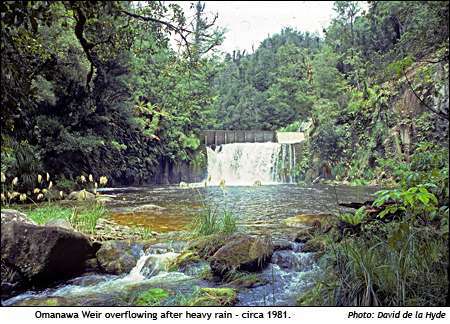 On the right can be seen the spillway which in the picture is releasing excess water.